Virtual Reality and Augmented Reality technologies are transforming the way people buy products. It is a booming technology that could provide the answer to this tech world. Virtual Reality, together with its sister technology “Augmented Reality” has the potential to influence the world of retail, a lot of companies believe that more investment is required in these technologies to ensure that they play a more pivotal role in their shopping experience. Notably, 77% of buyers abandon their carts before completing a purchase. This shows that retailers must do much more to convince customers to go ahead with their choice and buy items online. There are almost 200 different VR headset devices on Amazon alone. There are more than 430 startups on AngelList that are described as new VR technology companies. From the big companies to the entrepreneurs, they all support the same horse. Are you wondering how it works? Let us help you understand! Imagine you are immersing yourself in a virtual, computer-generated universe where you can use all the five senses to interact exactly as you do in the real world. This is virtual reality. On the other hand, if you imagine a universe where this computer-generated universe combined with the real world and thus becomes augmented reality. 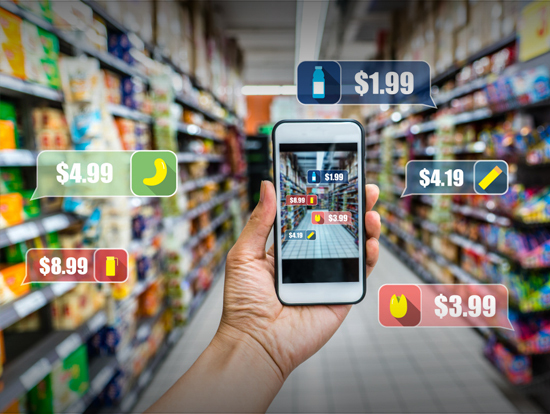 Although modern technology is not able to take advantage of touch, taste and smell very well, it has been slowly dominating immersion in visual and auditory sensation; Using Augmented Reality in Retail, Online Shopping and E-commerce. Virtual reality would offer a deep immersion experience in the form of a virtual shop for buyers. 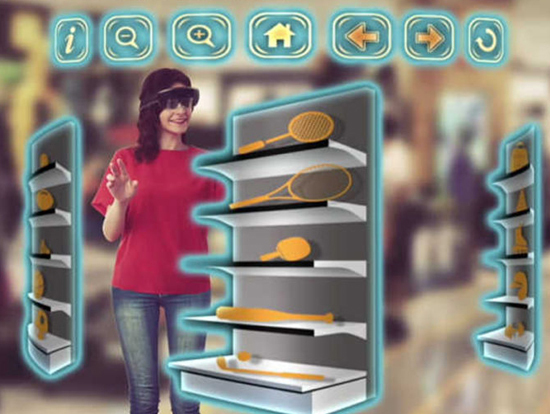 The augmented reality would make the task of visualizing products much easier for buyers. In the long term, every e-commerce company will have to adopt technologies seriously to maintain a competitive advantage in the top-grade competitive market. VR technology offers you a great user experience, adding an amazing surprise factor. Suppose you run an e-commerce business in which your users can discover, choose, and pay for inventory. Now imagine that you expose a virtual reality interface to your buyer. Your buyer uses a VR headset and instantly finds himself in the virtual store. He has a complete three-dimensional view of that store. He can walk, explore and discover new elements exactly as you would in the real world. Suppose the buyer wants to know more about a new phone in the store, focus your eyes on the phone and instantly have the specifications right in front of it, along with the price, the best offers and other information you need to make an informed decision. He likes the deal and continues with the payment or maybe he adds the phone to his cart and returns to his virtual store to make more window shopping. Isn’t it fascinating? For instance, your buyer wants to buy a sofa for the living room. They open your application and finds an attractive set of sofas, but they aren’t sure what the couch would look like in their living room. If your application has AR enabled, they can simply turn on the mobile camera and points it to the place where they want to keep the sofa. At the moment you do that, your application places a 3D model of the sofa as an overlay on the live image of the living room. Now it is very easy for your buyer to visualize what the sofa would look like in living room. they can rotate the camera and see where new furniture fits best. AR can be used similarly in the domain of jewelry and lifestyle, among others. It makes the experience more appealing to consumers and boosts sales. So we can see that AR-VR technologies have emerged to provide ease to the e-commerce sector and giving users a comfortable shopping experience. It is the third most popular solution with the highest evolution after desktop and mobile computers for online retail purchases. As the technology for AR/VR begins to be more open and standardized, companies in the e-commerce sector will do well to take advantage of them to gain a competitive advantage. Now, if you are planning of developing AR/VR mobile apps but unable to decide where to outsource your project then don’t worry, we’re here for you!